About me and my blog.. 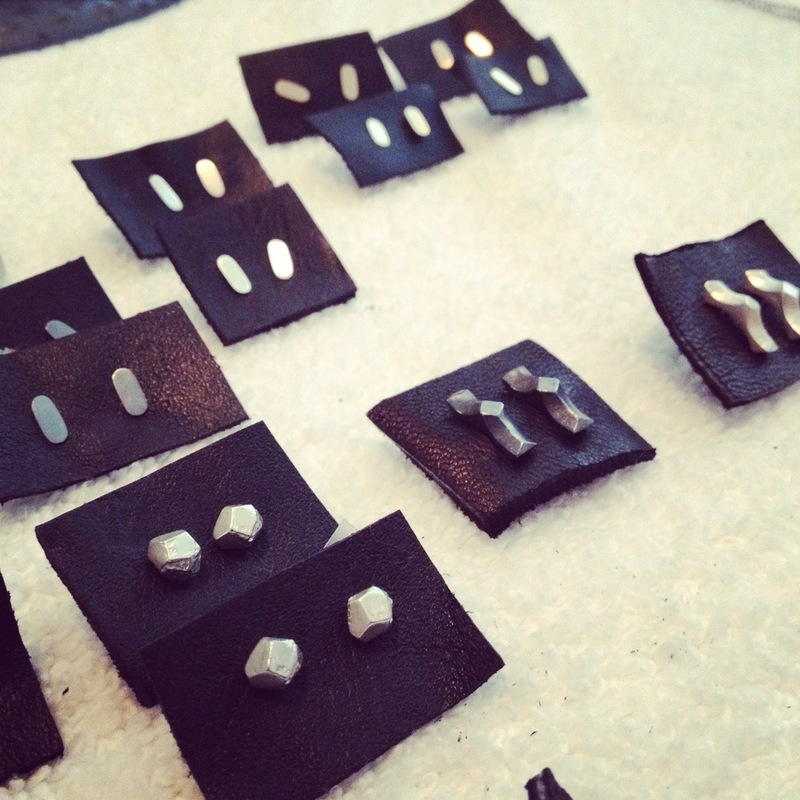 I am a designer, metalsmith and educator. This blog is a place for me to share my inspirations, design loves, art, jewelry and upcoming events. The images represented here will be a mix of my own and those discovered through various media. I will always do my best to correctly attribute credit for images and text to their respective authors and creators. New work headed to Boston! Super honored to have been invited by the Society of Arts + Crafts to show my work along side 23 other amazing artists! From Minimal To Bling is the Society's 6th biennial show in a brand new location. 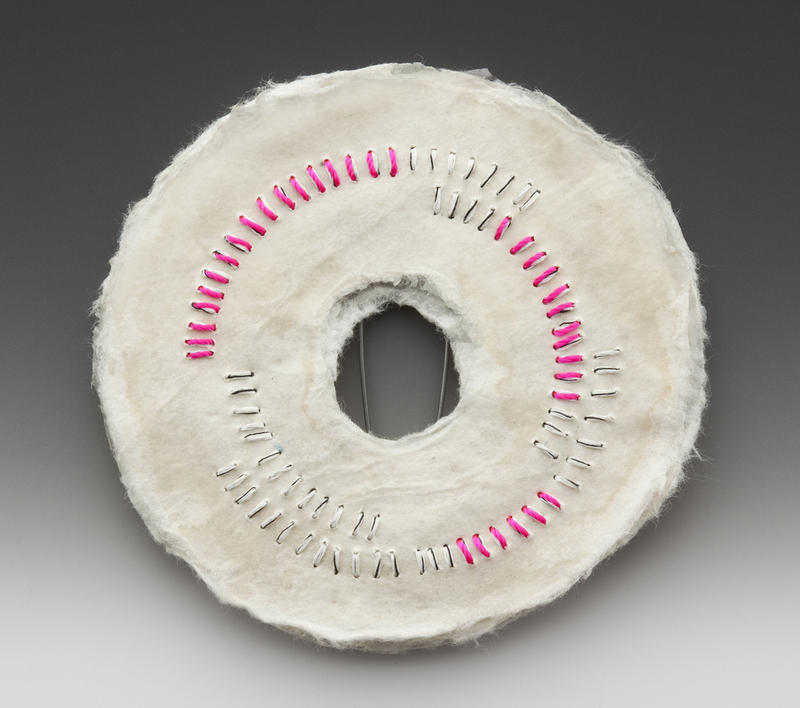 Sales at this exhibition serve a dual purpose, supporting their mission of education and outreach in the crafts field, and supporting the individual artists creating this work. The exhibition is cash/carry, meaning purchased pieces can go home with you! Just in time for holiday gift giving. If your are in the area, make sure to stop by. At the end of last year, I decided to make some big life changes. Following an offer for a great job, I uprooted my little family and relocated to Minneapolis! Unfortunately the move was right in time for winter, but being born and raised in California, made living in the snow an enjoyable novelty.. at least for the first half of winter. In the meantime i've been getting set back up, settling into my new job, enjoying the summer, and making more time for myself and the things I love doing. That means more great new designs and a new website in the works, so keep in touch! During the summer I was handed a mysterious canvas bag by my friend, Raissa Bump (check out her work, it's fantastic!). 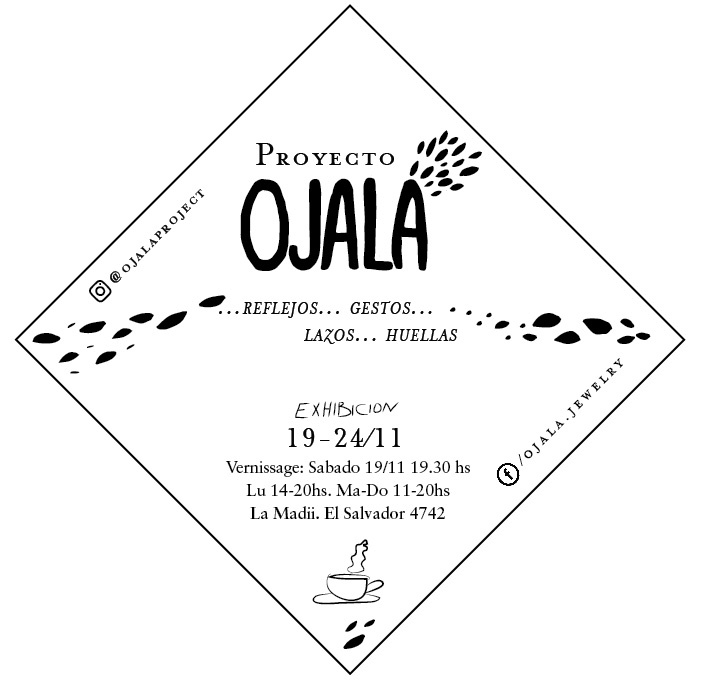 As it turns out, quite a few of these bags have changed hands over the last two years as part of the Ojalá Project. Within each bag were the beginnings of what would later become a jewelry piece. Each piece was passed to a new artist who would then add their touch to it and pass it on to the next person. The resulting pieces are a mix of aesthetics, artists, cultures, countries, and materials... each one unique to the hands it passed through. The opening reception for the pieces created during this project is November 19-24, 2016. If you happen to be passing through Buenos Aires, please take some pictures for me! "After two years of starting Ojalá Project we invite you to Ojalá Project (Buenos Aires) to be held during the first Bienal Latinoamericana de Joyería Contemporánea "Puentes" (Latin American Biennial of Contemporary Jewellery "Bridges") organized by Joyeros Argentinos and the Museo de Arte Popular José Hernández." New venue for my work in Sante Fe! 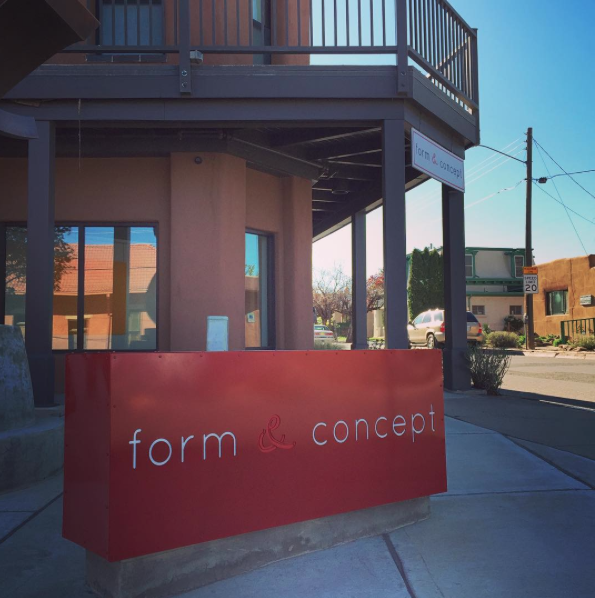 Form & Concept in Sante Fe, New Mexico has begun carrying my jewelry line! They are an arts organization founded to expand and explore the boundaries and distinctions of art, craft, and design. They now have a great selection of my graphic paper and silver pieces; as well as a great election form other accomplished artists. Very excited to be in such a great space! To see specific pieces available, click here. New limited edition necklace @ SFMOMA Museum Store! Earlier this year I received a very exciting opportunity in the form of an invitation (along with a handful of other great artists) to propose a design to the SFMOMA Museum Store in honor of their grand re-opening. The main parameter for the piece was that it had to be inspired by the work of an artist in the museum's permanent collection. From there I was given a list of names to investigate further. One of the artists on that list, Richard Diebenkorn, has been an inspiration for me for a very long time. I have always found his use of volume, color, and line to be particularly engaging. 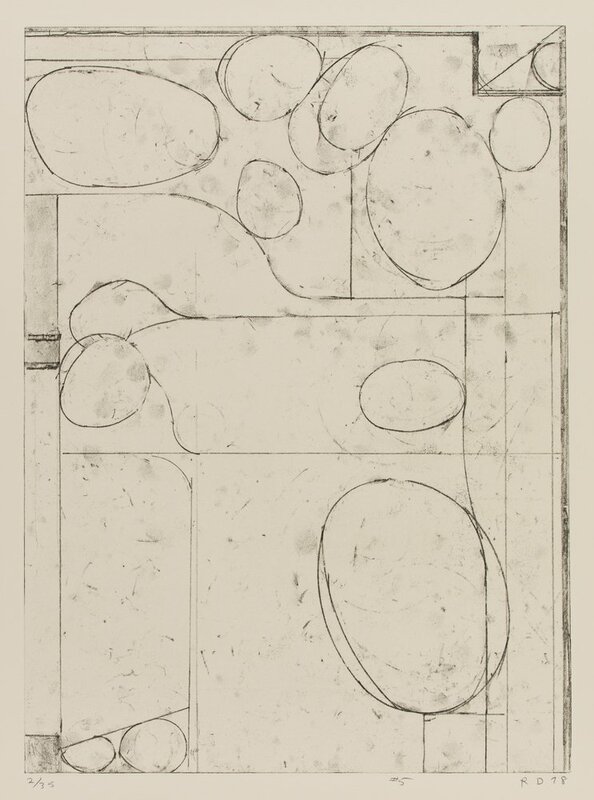 Above are images of his series "Six Soft Ground Etchings". These particular pieces have always spoken to me for some reason. Maybe it's the subtle line work or the slight texture/smudges of the soft ground being lifted on accident while drawing... 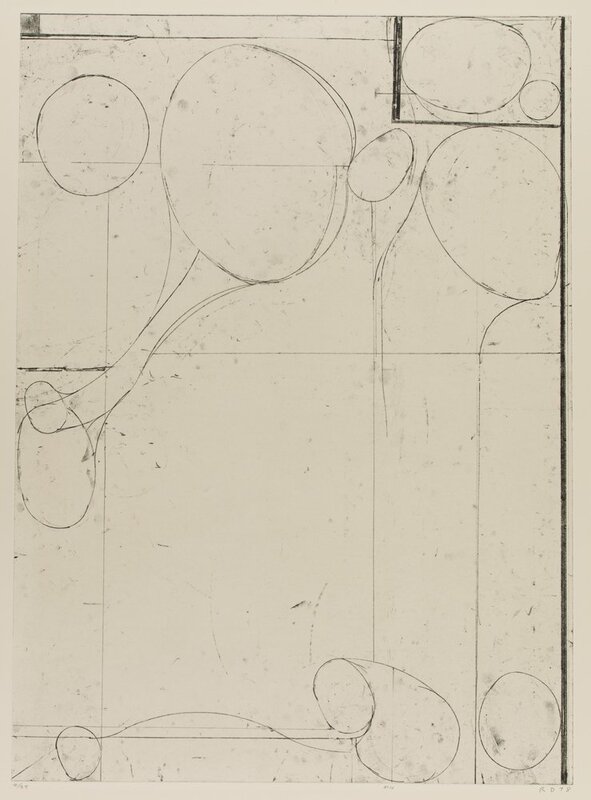 This became my starting point for the "Inspired Project"
Lots of screen printed test pieces, sketching, and sawing later my homage to Diebenkorn in the form of necklace was finished. The limited edition of 10 necklaces are now available at the SF MOMA Museum Store. The Museum officially reopens its doors May 14th. Stop by, check out the great new building, and take a peek at the great work on display! Over the last few months I have been rather neglectful of my blog and website. Why? Because i've been working on a whole other website! As some of you may know, I am the current president of the Metal Arts Guild. The organization is an all volunteer led non profit with the goal of increasing awareness of our field and promoting the work of our members through various opportunities and education. In honor of MAG’s 65th birthday, our website and newsletter got a makeover. We are really excited to see the completion of this phase of the project. Our goal with this new site lis to create a community hub for our field. Bringing a ton of information, great resources, and highlighting the wide variety of metalsmiths and makers working in the Bay Area. I am thankful to all who have had a hand in bringing this idea to fruition. Our outstanding web designer Christine Craven of Grey Graphic has done a wonderful job bringing our vision to life. I sincerely hope that you’ll check it out! Each year a huge number of faculty members and alumni from the arts related departments at Academy of Art University put their work up for Annual Faculty & Alumni Fine Art Auction. It goes to a great cause. 50% of the proceeds go to benefit the Academy of Art University's Student Scholarship Fund in their related departments. The remaining proceeds go to the artist. It's a cause I feel strongly about since my contribution, and those of my colleagues in Jewelry and Metal Arts, will end up helping students in our very own department. 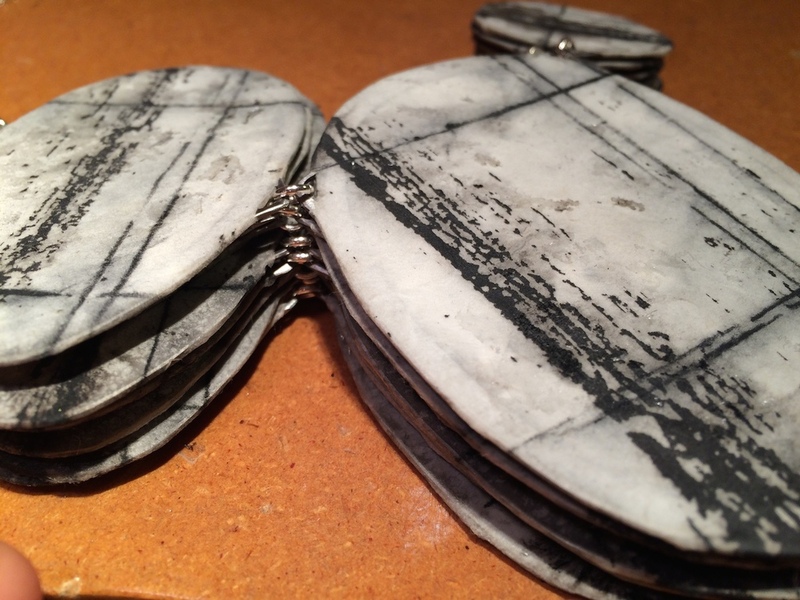 I am proud to say that I have a small collection available for bidding this year; a group of my paper jewelry pieces. Each was hand crafted here in my SF studio and have been shown around the world. 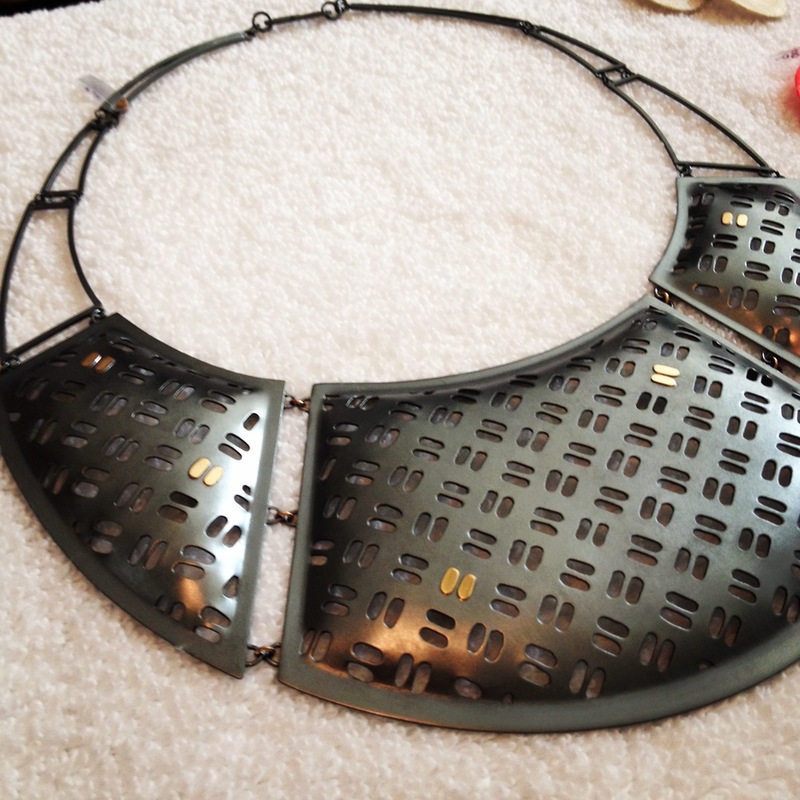 Most notably in the 2014 Beijing International Jewelry Arts Biennial. Each piece is made of oxidized sterling silver, abaca paper (hand-made by me), acrylic, pigment, nylon, and this really amazing Japanese paper thread. 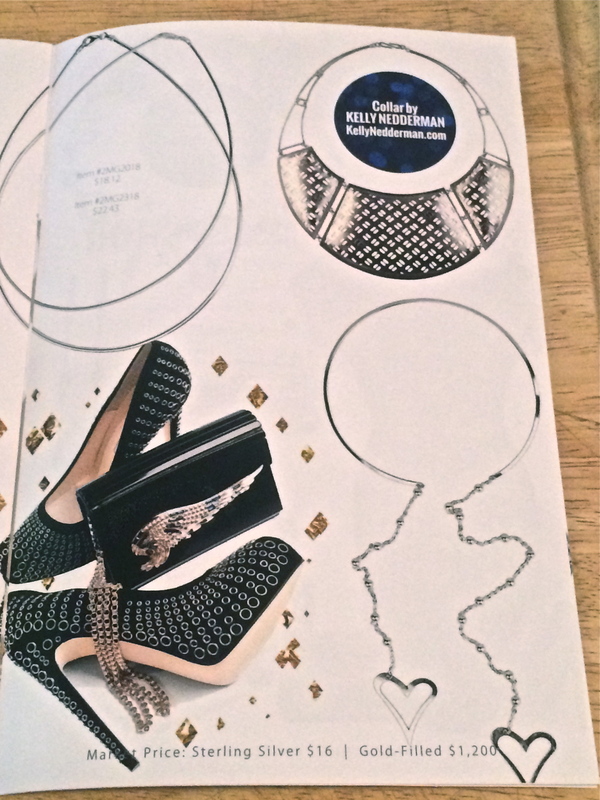 Necklace included in the Halstead Winter 2015 Lookbook! 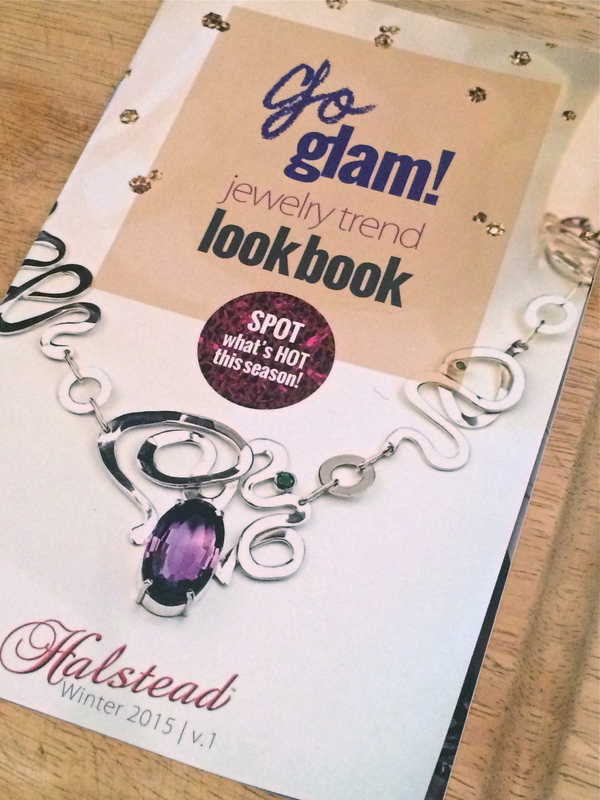 Receiving the copy of the Halstead 2015 Winter Jewelry Trend Lookbook in the mail this last week was very exciting. A huge thank you to Hillary and Mercedes for choosing to include my pierced collar on the "Pop That Collar" trend page! For those of you not familiar with them, Halstead is a small family owned business started in 1973. They offer metals, findings, and tools at great prices to the trade. Halstead has also been a great supporter of the jewelry and metal arts community. I am so excited to be included in an upcoming show, All That Glitters, with an amazing group of very talented artists! "The Arts Center will sparkle with the infinite possibilities of glass. All that Glitters, a collaborative exhibition at Petaluma Arts Center and IceHouse Gallery, will include works by members of the contemporary glass movement that began in the San Francisco Bay Area more than 50 years ago. Curator Kathleen Hanna brings pieces by seminal figure Marvin Lipofsky, who founded the glass program in 1964 at UC Berkeley, and the generations of glass artists he inspired. Artists include Bill Burch, Elin Christopherson, Erik Eiserling, Bella Feldman, Ken & Ingrid Hanson, Evan Kolker, David Lewin, John Lewis, J. P. Long, Susan Longini, Lee Miltier, Jay Musler, Bruce Pizzichillo & Dari Gordon, Jean Salatino & Steven Gandolfo, Randy Strong, Boyd Sugiki, Pamina Traylor, Mary B. White and Lisa Zerkowitz. In Gallery 2 at the Petaluma Arts Center, Elizabeth Shypertt, co-founder of San Francisco’s important jewelry gallery Velvet da Vinci, will curate an exhibition of contemporary works by American jewelers, including Lucia Antonelli, Brook Battles, Raissa Bump, Sandra Enterline, Don Friedlich, Tina Frey, Susie Ganch, Karen Gilbert, April Higashi, Maya Kini, Christy Klug, Deb Lozier, Sydney Lynch, Kelly Nedderman, Erica Rosenfeld, Biba Schutz, Jan Smith, and Julia Turner." After many hours and a lot of hard work, I have made it through the two shows I had this past month. Ten pieces were sent off to Brussels and after languishing in customs for a few stressful days, made it to Galerie Maria Clara Art Pointe just in time for the opening of "Gender, Gender". 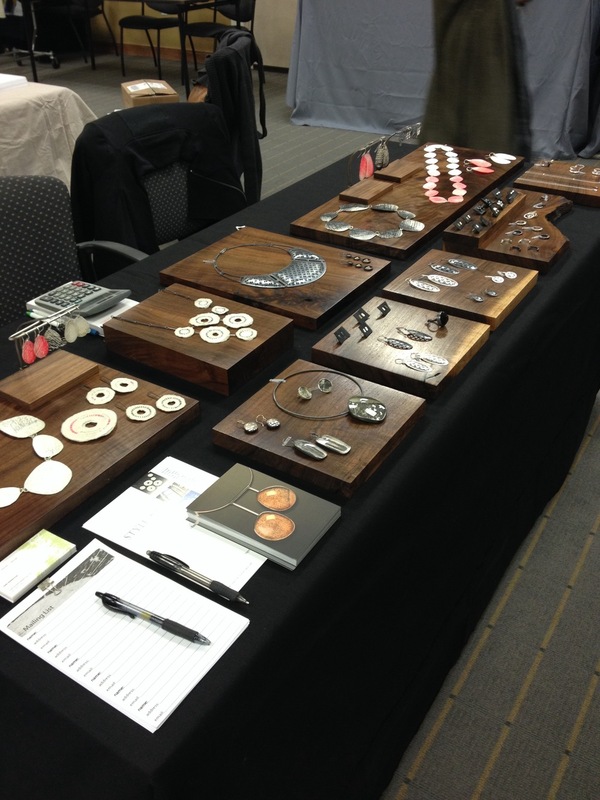 This past weekend, I was one of 45 artists showing at Style 2014 at the Palo Alto Medical Center in Mountain View. April has been such a busy month for me, but I have felt so invigorated by the pieces I have been working on! So many new ideas. I definitely ran out of time to debut them at this particular show, but professional photos will follow. For now you can check out the images below. New pieces in the works! I have been sawing for what feels like days... oh wait, it has been days! Things are finally starting to take shape and I am really looking forward to seeing how these turn out. So far so good! Lots of tiny little holes in silver sheet! If you've checked out my event section recently you might have noticed that I have a two day craft show coming up. Style 2014 will be happening in Mountain View on April 26th and 27th. You can come visit me and check out the work of dozens of other fantastic artists. The best part is that the ticket proceeds and a portion of the income from the show go to the Palo Alto Medical Foundation Women's Cancer Survivorship Program. Tickets are on sale now! For tickets, click here. I am super excited to have my work as one of the images featured on the card! (Top image) Hope to see you there! Exciting news! You can now check out my Designer Profile on Unique Indie. It includes an interview with me about designing jewelry and living in the Bay Area. They also came by for a studio visit, took some great shots of my apartment and studio, and interviewed me on camera. Here's the video from their site below. You can also read more at the Unique Indie site. While you're there, check out some of the great jewelry pieces I have for sale as well as many other talented local designers! Thanks for reading! After a ton of waiting and a ton of work, my website is finally up! 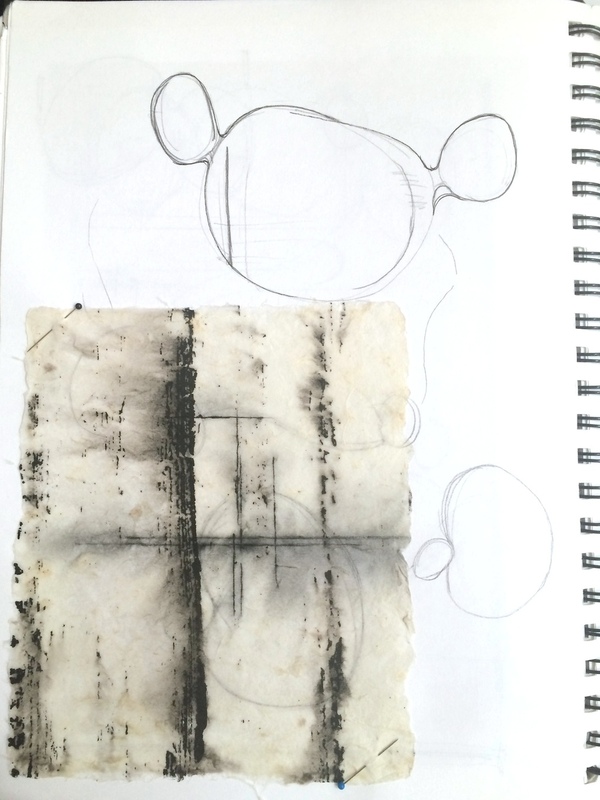 Certain pages will continue to evolve as I work through new pieces and images. Keep an eye out for upcoming events and other exciting news! Thanks for reading!